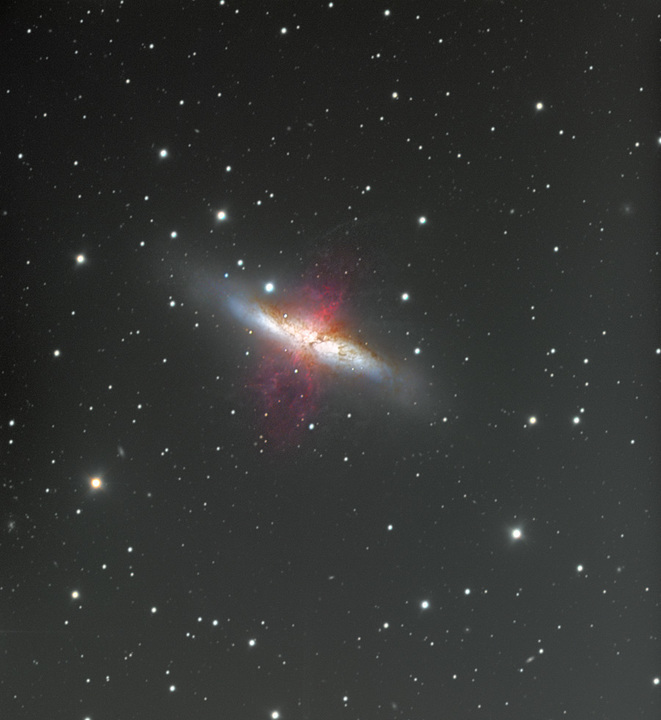 M82, or the Cigar Galaxy, is a starburst galaxy. This is a type of galaxy that undergoes star formation much quicker than usual. It is located in the constellation Ursa Major, and is interacting gravitationally with M81.